Do you ever catch yourself looking at a girl thinking, “Wow she just seems perfect in every way, I wish I was more like her”? Or maybe you have caught yourself speaking to someone about their problems, thinking “Thank God I am not as all over the place as her”. 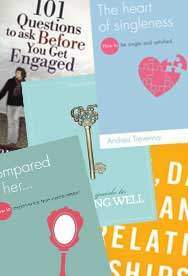 Sophie de Witt (author of ‘Compared to her’) names this constant comparison with others ‘Compulsive Comparative Syndrome’ (CSS) and shows why, although normal, these comparisons are a huge problem, damaging our relationships with others and God. 1. Sophie, in your book you boldly state that probably all of your readers suffer from CCS and that you yourself are a recovering CCS sufferer. Can you explain what CCS is? It is when you are not able to resist making comparisons with others that result in you finding your position in relation to them – with the underlying desire that you will come out on top! So it’s when you do the sideways look at the women you pass in the street, or when you compare how much of your boss’ favour you get at work compared with your colleagues, or when look at someone else’ boyfriend or husband and wish that yours was better looking/more romantic/more DIY-competent etc! I called it a syndrome since the problem is not really the mere acts of comparing. A syndrome refers to ‘a group of symptoms with an underlying cause’. Comparison in itself can be a neutral exercise but Compulsive Comparison Syndrome is about when the constant comparison with others leads to a whole array of nasty symptoms. In the book I grouped them into ‘looking up’ and ‘looking down’ symptoms. Looking up symptoms include envy, self-pity, bitterness, guilt and fear; looking down symptoms include arrogance, judgmentalism, a sense of entitlement and patronising pity. I don’t think we all suffer from this syndrome to the same degree, but because of the way our sinful hearts work, I think unhealthy comparison is an inevitable consequence of original sin. It can be seen way back in Genesis chapter 3 – the serpent tempted Eve to compare her position to that of God, then Adam implied that Eve’s guilt was worse than his and Eve said the serpent’s guilt was worse than hers! And that’s before you hit the stories of Cane and Abel, Jacob and Esau, Joseph and his brothers and so on. Many conclude that, because it is so universal it is therefore perfectly ‘normal’ and not a problem. But I think it is a real problem that we often don’t recognise, admit to and deal with as we should do, especially if we are Christian believers. 2. Why is CCS such a big problem? Because the symptoms can be very destructive in our lives – they can damage our relationship with ourselves, with others and with God. Feeling constantly inadequate and inferior compared with others leads to low self-esteem and potentially depression, or other behaviours that are an attempt to alleviate these feelings (for example, getting into debt through excess buying in order to ‘up our position’, unhealthy romantic relationships or various eating disorders). And although feeling smugly self-satisfied may make us temporarily happy, we know how shallow and fragile that satisfaction is – we each know what we are really like, the me that no-one else sees, and, there will always be someone new who will come along and be in a higher position than us on whatever measure/s we care about! In terms of the damage CCS can do to our relationships with others, it can lead us to be bitter rather than happy about others’ blessings, and can make us want to withdraw from those who make us feel inadequate. 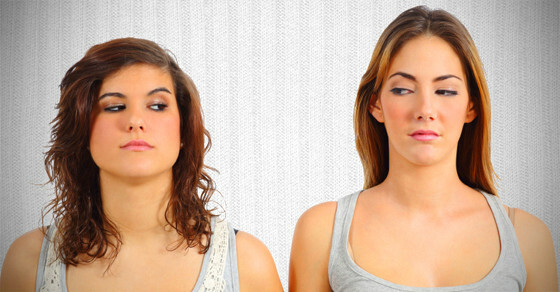 Envy and rivalry pollute love just as much as superiority and judgmentalism do. And the biggest problem is that this sort of competitive comparison is offensive to God. He does not deal with us on the basis of position. He deals with us all on the basis of His righteousness and grace. We ALL fall short of his righteousness and we ALL qualify for the riches of God’s grace because of Christ’s death in our place, not because we are ‘better’ than others. If we let CCS run unchecked in our lives, we will find that we are not living by grace but by works – it undermines our faith and dishonours our Lord and Saviour. 3. You state you yourself are a recovering CCS sufferer. What are your top tips in overcoming CCS? First of all, I had to get to the point where I really started to HATE what my CCS was doing to me and my relationship with others and especially with God. I had to admit that it was a problem that had sin at its root – that, just because it is so normal, it doesn’t mean it is OK. Then I spent much time in God’s word seeking to understand the logic of my sinful heart better, and time wrestling with God in prayer about the issue (the book is really the fruit of this personal journey), and now it is a case of daily applying what I know to be true. If the root cause of my compulsive comparison is pushing God to the side and having self at the centre, and also trusting in earthly measures to give me the significance, satisfaction and security that I crave, then the treatment of CCS must be the opposite – the gospel of grace. I have to daily acknowledge that Christ is at the centre of God’s world and not me and trust that is in knowing Him that I will find true and lasting significance, satisfaction and security, and not in higher ranking. The treatment is not rocket-science, but it is not easy either! Applying the gospel to such a deep-seated problem means we will feel the force of the spiritual battle we are engaged in. The devil doesn’t want Christ-centred, contented, joy-filled Christians; he wants us defeated by our sin. So prepare to fight. Fight to read God’s word and wrestle with these issues in your heart. Fight to stop CCS in its tracks when it threatens to overwhelm you. Remind yourself that these earthly standards we seem to hold so dear mean very little to God. When I look at myself in the mirror, I still find I have to remind myself that God is concerned with what is on the inside – at the beauty (or lack thereof!) of my spirit, not my outer being. If you are anything like me, you will fail often, and find yourself dragged back down into toxic self-focus by the power of unhealthy comparison, but God’s mercies are new every morning. We have been given grace upon grace to keep fighting to stay on that path of liberation. 4. A couple of us from our church read your book together and it was such a good spur to not compare ourselves to each other negatively. How do you think we can support each other in our fight against CCS as sisters? I’m very grateful to God that you and others have found the book an encouragement to combat your CCS. Yes, we do need to be in the fight together. One image I enjoyed dwelling on when I was thinking of a possible book title was being ‘running mates not rivals’. Think of those images of Comrades you used to see (before the new rules!) of runners helping their lame or exhausted fellow-runners across the finish line. They weren’t rejoicing that they could get to the line faster and pass them with a smug sideways glance, they stopped to help their running mate to get to the end, to win the medal that was there for all who made it across the finish line in time. So the very basic answer is – love one another and don’t compete! Be honest with one another; don’t wear masks in an attempt to win a higher position in the eyes of others. Encourage, help and pray for the struggling, rejoice with those who are soaring in God’s strength for His glory, learn from those who offer you a righteous challenge rather than try and find fault. Be running mates, not rivals. 5. Let’s be honest, as an unmarried girl one of the biggest temptations in comparing myself to others is probably to see how well I think I am doing compared to other single girls and to ponder whether the great godly guy at church will like her better or me. How can we avoid this sort of comparison and rather love our sisters in Christ? The first thing I would say is to trust in God’s sovereignty and goodness. 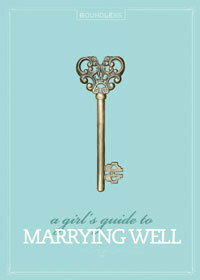 He knows what is best for you – and your sisters in Christ – and is utterly able to accomplish it in your life. So keep in step with His spirit and don’t get distracted as you walk the path He has laid out for you by looking over the hedge at the path He has laid out for others. 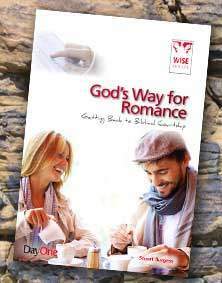 Find your Significance, Satisfaction and Security in Christ and not in the prospect of a boyfriend or a husband – this will set you up for a happy marriage (if that is what God has in store for you) more than anything else! Singleness can be a hard and lonely and anxious path at times, but there are other times when it is wonderfully exciting and has huge privileges. Trust God for His glorious ‘bigger picture’ when the path is tough-going, and enjoy the views when the conditions are good, but keep putting one foot in front of the other knowing God’s grace is sufficient for each day. « Give men a chance!